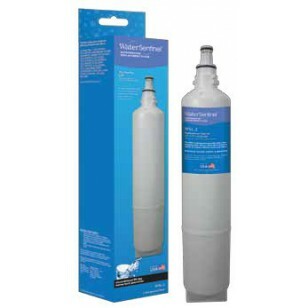 An affordably priced replacement for fridge models using the LG 5231JA2006A, the Water Sentinel WSL-2 refrigerator water filter ensures your water and ice tastes great for up to six months. Made in the USA, this filter will reduce chlorine taste and odor before they have a chance to impact the quality of drinking water in your home. Great tasting water and ice at a great looking price!